The Mamba project doesn’t operate in a vacuum. Clearly, a lot of innovation is already going on in the Baltic Sea Region when it comes to sustainable mobility services for rural areas. An important part of the Mamba project is to collect and analyze these good practice examples from across the region and make them easy to find, compare and learn from through a public database. This will be developed and hosted by Trelleborg municipality, a Mamba partner, during 2018-2019. 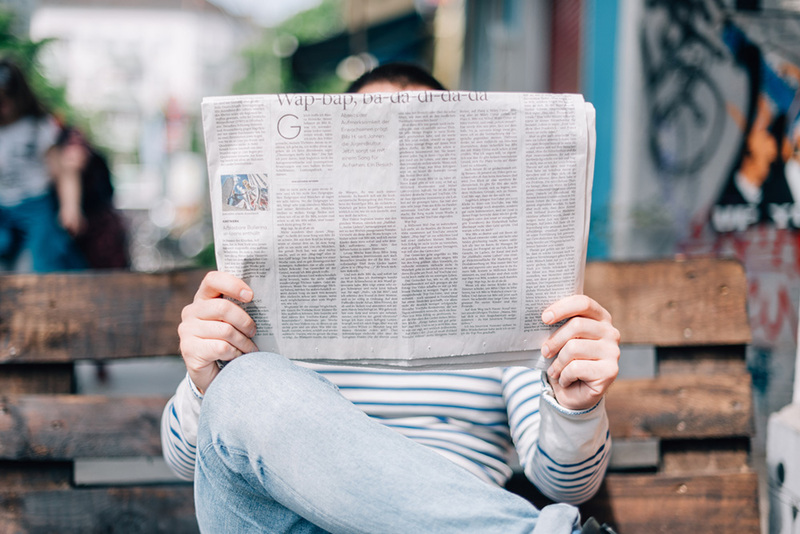 Take a sneak peak below on some inspiring examples, including ride sharing applications, Mobility as a Service systems, Transport on Demand services and mobile care providers. … as an improvement of the existing app rejseplanen.dk which only includes public transport options. The aim is to improve mobility and access to services for residents in rural areas where public transport is limited to rush hours – while reducing dependence on private cars. The new mobile app will guide users to the most convenient and cheapest mobility services available on a selected route from A to B – public as well as private options (e.g. carpools, shared cars, ferries, taxis, and transport-on-demand busses). In a future version of the app, users will be able to pay the whole trip in one go, regardless of how many service providers are involved. As part of the project, the Transport Authority also started a collaboration with carpooling provider GoMore to ensure that carpooling is a viable option for travelers in the region. The long-term goal is to enable the use of MinRejseplan in all Danish regions. 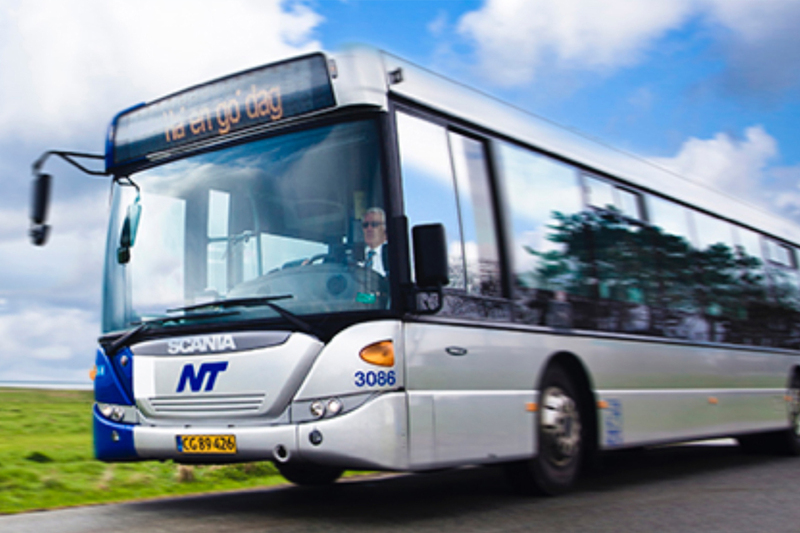 In addition to MinRejseplan, a Travel on Demand (ToD) solution called Plustur is now available across Northern Jutland. Plustur is part of MinRejseplan, but is booked (online or by phone) and paid separately– as the first or last part of someone’s journey. The idea is to offer public transport on demand to remote residents so they can get from their homes to the nearest bus stop or train station without using private cars and taxis. The price is 22 DKK per ride and you would normally go in a mini-bus together with others. As ToD solutions tend to be costly, the transport authority is pleased to have 50% of the costs covered by a state grant. 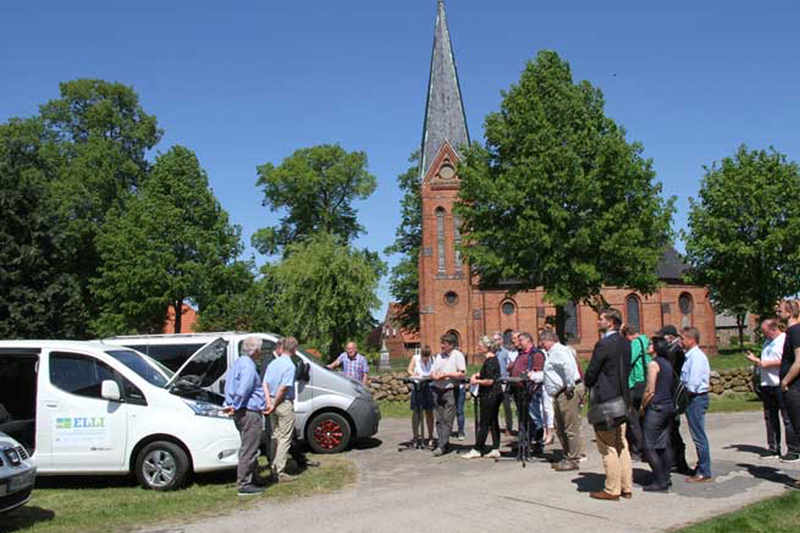 This ride sharing initiative started bottom-up in the village of Tolg in south-east Sweden where residents felt the need to increase transportation options to and from their village – while reducing CO2 emissions. By developing an app, ride sharing bookings and payments are made very easily, while revenues for drivers are digitally reported to the tax authorities. To date 33% of the residents in Tolg use the system. This in turn has enhanced the social capital of the village as people now have more opportunities to spend time together (in the cars). As a result, several local development projects have been initiated and villagers sense that their village has become more attractive. The Mobilsamåkning service is now implemented and available in 13 rural communities across Sweden and is currently being tested in Holland. The main challenge reported from other villages trying to set up the system, has been to get villagers accustomed to driving their neighbors instead of just driving on their own. Many people still prefer that freedom. 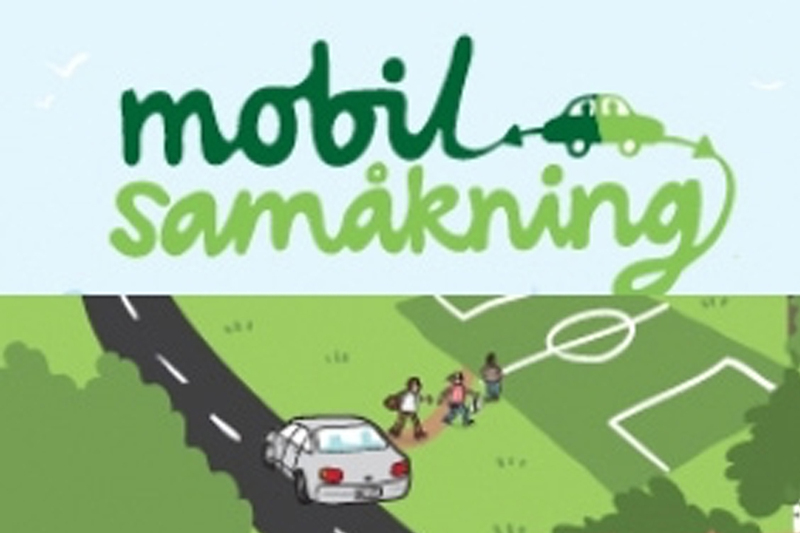 Successful implementation of Mobilsamåkning requires a broad consensus from villagers, bottom-up, on the necessity and benefits of ride sharing. It also requires some funding from the municipality to set up the system and to work continuously on marketing to get a solid number of active users onboard. … visitors and tourists without private cars, a mobility project was initiated in 2016. In the beginning, a mobile application called Ylläs Around combining information about bus connections and other available mobility options, such as taxis, in Ylläs area was created, tested and launched by a cooperation project formed together by the municipality of Kolari and Ylläs Travel Association. 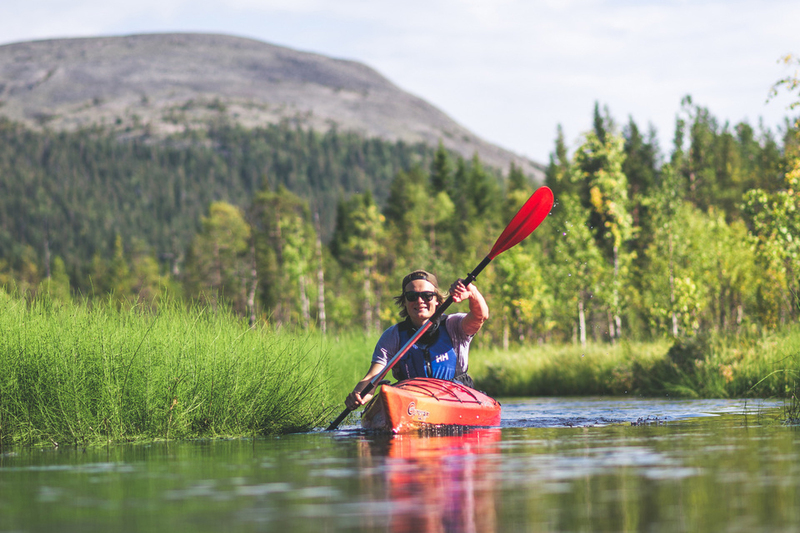 The aim was to offer a simple tool for finding the best available routing and mobility service combinations in the region of Ylläs, and offering payment in a single transaction through an APP. The results with the mobile application were quite promising but some technical as well as practical issues led to a situation where this application was decided to put aside. Instead, together with the Technical Research Centre of Finland and it’s Vamos! Project1, an application called YlläsTiketti that enables to buy tickets for services or transport from a comprehensive range of both public and private service providers was launched in December 2016. For example, a customer can buy tickets in advance for bus transfers to the airport and services admission tickets to events, lunch vouchers, ski passes etc. 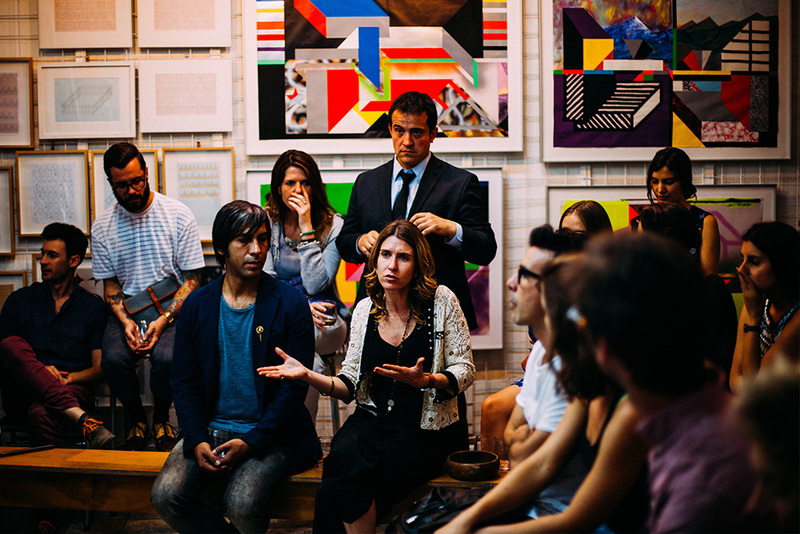 Tickets for events include for example cultural happenings, such as concerts. Vippari started as an EU- project 1999, but is now part of the public transport in the town of Jakobstad in Finland. Vippari has about 40 000 customers of all ages, and both the city administration and the customers seem to be satisfied with the service. Vippari busses are small busses that transport customers from door-to-door and can be ordered like taxis. The Vippari project was awarded with a man-made climate prize from the Association of Finnish Local and Regional Authorities in 2012, due to transportation with small busses being more environmentally friendly than transportation by private cars. Vippari started in 1999 aiming to address the issue of poor public transport connection in Jakobstad. There were no major obstacles during the service development and implementation, because the need for public transport was so urgent. At first, the taxi drivers were sceptical, but not after they realized that there is no competition threat from Vippari. In general, the service is well accepted by the locals. The transport solution is intended for all those in need of transportation in Jakobstad. ELLI is a research project within the competence hub for rural mobility (Kompetenzzentrum Ländliche Mobilität, KOMOB) in Wismar. KOMOB is registered as a regular company, but with limited profit- making ambition. The main objective of ELLI is to contribute to stronger (and more attractive) rural regions. ELLI started in 2015 as a project implemented in several villages in the federal state of Mecklenburg- Vorpommern (MV) in north-eastern Germany. In addition to the existing public transport system, operated by the Mecklenburg-Vorpommersche Verkehrsgesellschaft (MVVG; public transport provider in MV), ELLI provides a ride-sharing service self-organized by the inhabitants of the area. Voluntary drivers offer rides with cars provided by ELLI in order to complement the public transport network in areas which would otherwise be hard or impossible to reach. Rides can be booked via phone call. The financing of ELLI comes from different sources, mainly from public funding for research projects, in which ELLI is involved as a pilot project. ELLI aims at solving the problems of hard accessibility and declining social interaction in the region. … and municipal officials at the local village houses on a regular basis in remote villages where none are otherwise available. Village House Service Centres address the challenges stemming from outmigration and aging, as well as the fact that services have been relocated to larger centers a considerable distance away. The initiator of the solution also wished to address the generally apathetic atmosphere in the remote villages. The service centers were considered a way to activate the villages and bring back hope to the people. 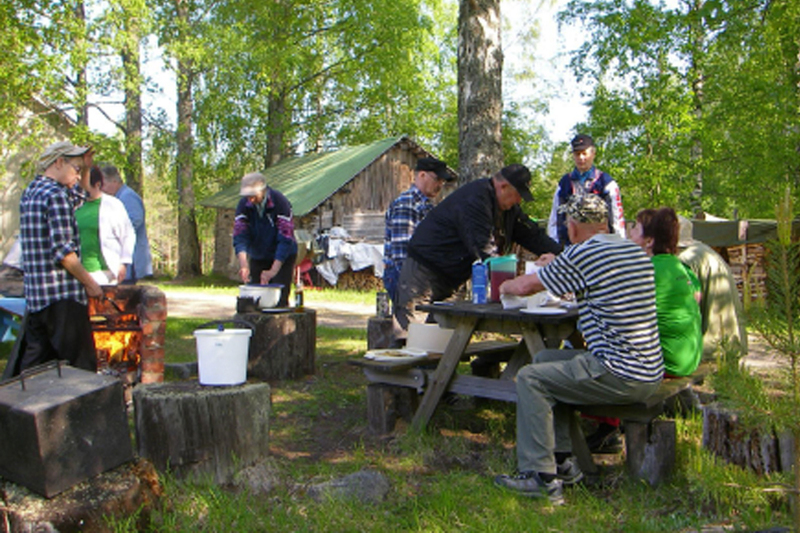 Village House Service Centers are established in local village houses that are used to provide different services on a regular basis in remote villages in the municipality of Ilomantsi in North Karelia. The municipality of Ilomantsi has 18 villages and village houses in 11 of them. … and that the main objective is to contribute to stronger (and more attractive) rural regions. 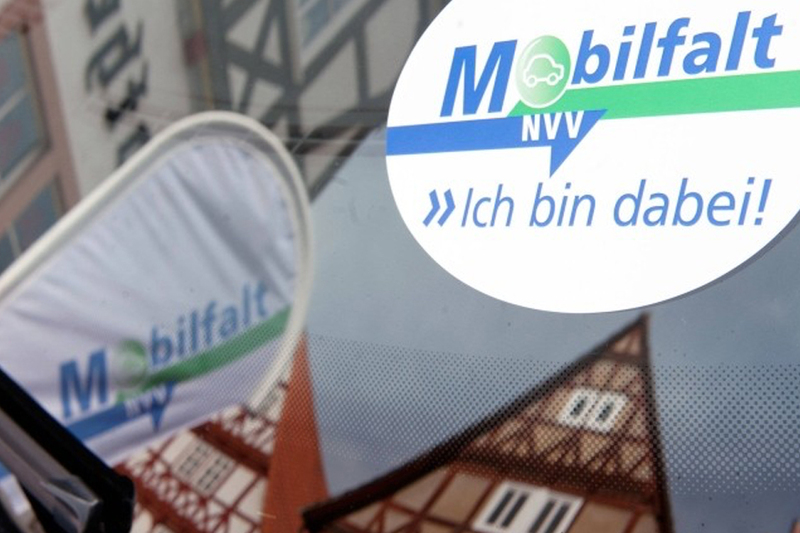 Mobilfalt started in 2013 as a project implemented in the Werra-Meißner district (WM), a part of the north Hessian public transport company (NVV). The idea was formed in a coalition amongst different project developers in the NVV and the municipal public transport ministry in WM. The project is intended to challenge the hard accessibility of and the demographic trends characterizing the region. The main problem in the region is a rapidly aging population and an increasing migration of citizens to bigger cities. The region has a limited offer in public transport solutions, leading to many people having only bad access to infrastructure, such as train stations, hospitals and grocery stores. Since the number of cars per citizen is high in German rural areas, the idea behind Mobilfalt is to enable ride- sharing of different people whose routes have the same starting and endpoint. The existing bus stop infrastructure should be used as meeting points and the booking and time schedule application of the NVV should be used as the reservation platform for Mobilfalt. In that way the project should increase accessibility, without implementing more bus lines or generating higher traffic frequency and simultaneously fostering social bonds. 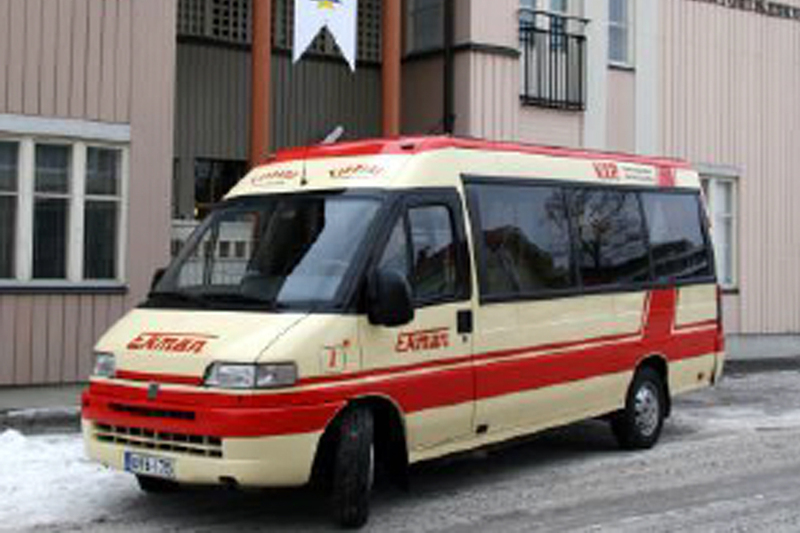 To improve the mobility services for residents in the municipalities of Schüttorf and Wettringen, locals founded Bürgerbus or the Citizen Bus Association in 2006, bought a minibus and engaged volunteer drivers to transport mainly elderly and youth between the municipalities. 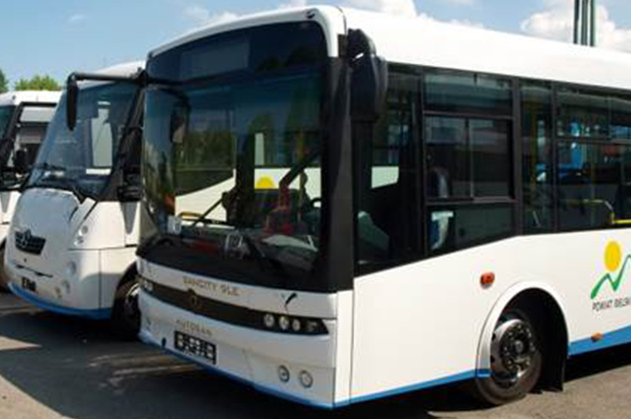 The citizen bus has around 40.000 users and operates on a fixed schedule Monday through Friday. 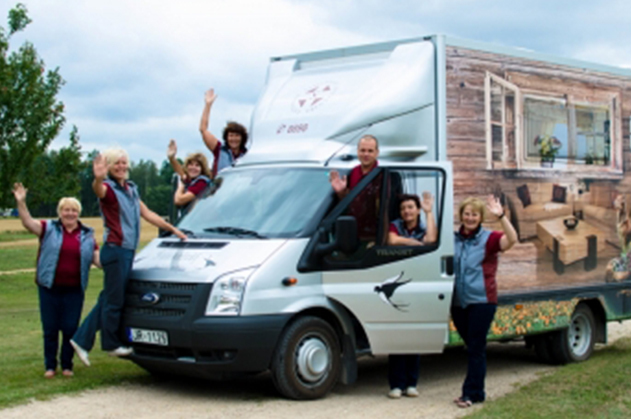 The Samaritan Association of Latvia (LSA) provides home care for elderly across rural Latvia by using specially equipped cars with caravans including a power generator, hot shower and toilet, a kitchen, washing machine, equipment for foot care and haircutting, etc. In Latvia there are several service-to-people solutions in place, e.g. blood donor buses, dental and primary care buses for children, and library buses. Local governments in the Bielsko District have created a common union, linking transport at the municipal, county and voivodeship levels. By merging their public transport services they can bring more people from rural to urban areas. To date around 150.000 residents use the services, including in areas where private carriers do not operate because the services are not profitable.